We are meeting each other at the Yak hotel in Beni. Ruben has gone to meet Paul this morning and I expect them to arrive along with two guys from Sardog. John and Ben are coming from Tukuche. They went to the army in Jomsom yesterday and have spent the night at Patrick from Dutch Bakery in Tukuche. They will be arriving shortly as well. For the first time, all five will be in one hotel. I am looking forward to this and can’t wait to hear their stories. The previous days have been filled mainly with taking small taxis over impossible roads. There are generally three roads crossing the valley. The road from Beni towards Marpha and Jomsom, Marpha is where the trail towards Base camp of the Dhaulagiri starts. The road from Beni towards Tacam, the trail from Base camp via Italian camp back down the mountain runs along part of this road. And the road from Beni towards Pokhara. One can take a bus or airplane to Katmandu from Pokhara, where the international airport is located. Flyers in hand and with the taxi driver’s help, who spoke some English, we stopped at every house, in every hamlet and at every village. The situation is known in the valley. Thank you, Karna and his colleagues at Sardog. Thank you, Facebook. 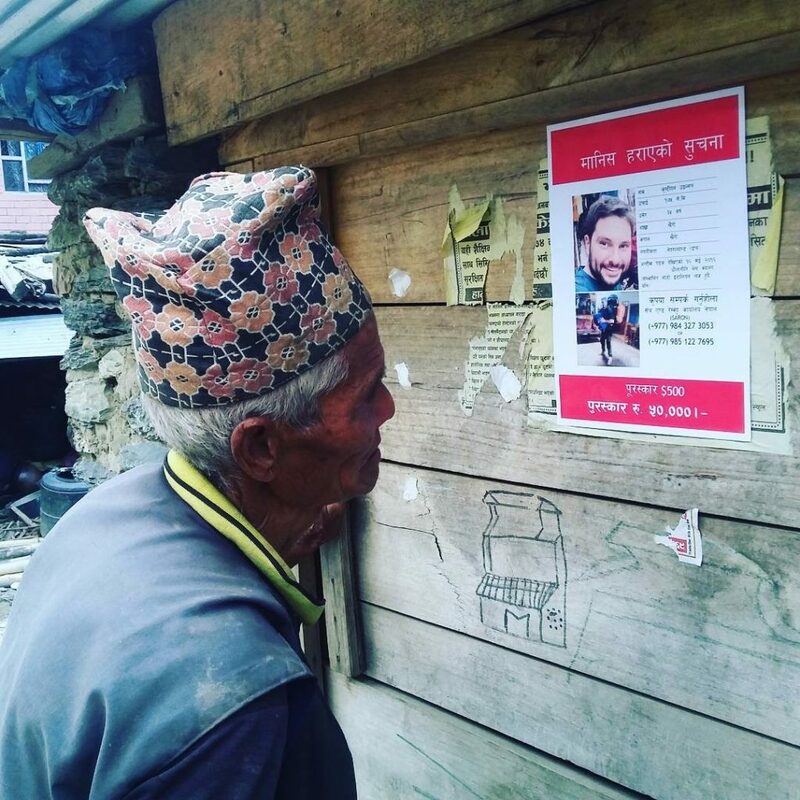 The search in Nepal brought together hope and despair. But in a weird way also a privileged knowing. Privileged to know Christiaan as a friend. Privileged to be doing this with so many people.